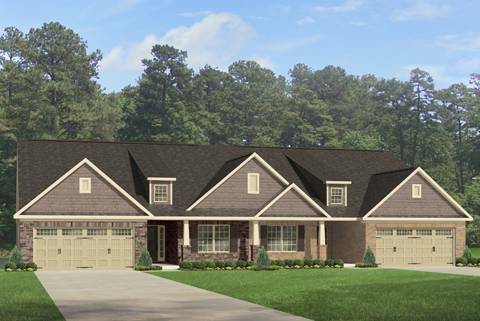 The Lenoir - One level twin home with 2 Bedrooms and 2 Baths. 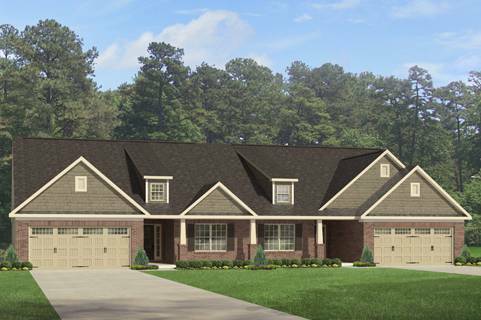 Large Great Room with optional tray ceiling and fireplace are perfect for entertaining. Open Kitchen includes eat-at island and separate Dining Area with columns. Formal Dining Room or optional Study. Personalize the Owner's Suite with an optional tray ceiling. Two closets come standard in the Owner's Suite. Optional luxury bath available. 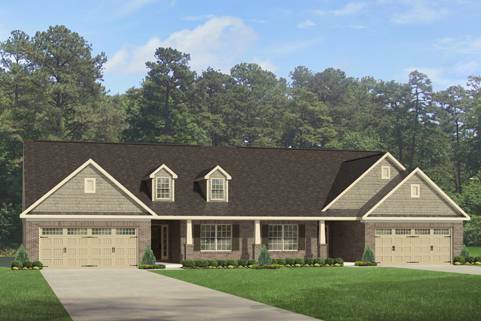 The Optional Bonus Room includes Attic Storage or an Optional Flex space/Loft or you may choose 3rd Bedroom with 3rd Bath. Two Car Garage.